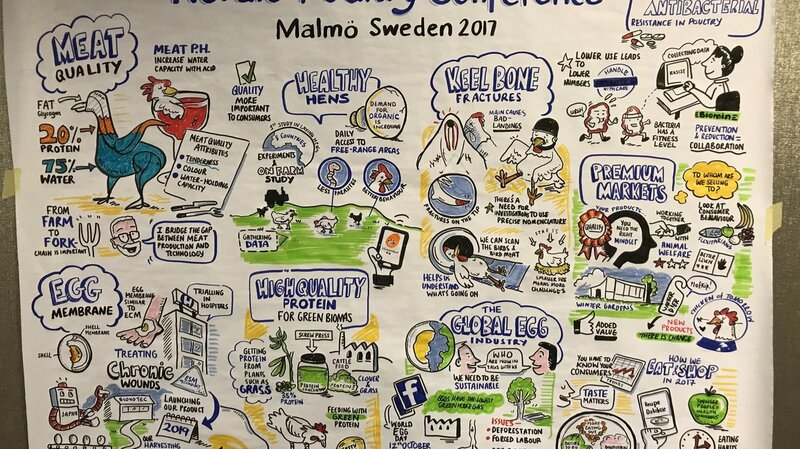 From November 7-9, Hendrix Genetics participated in the Nordic Poultry Conference. 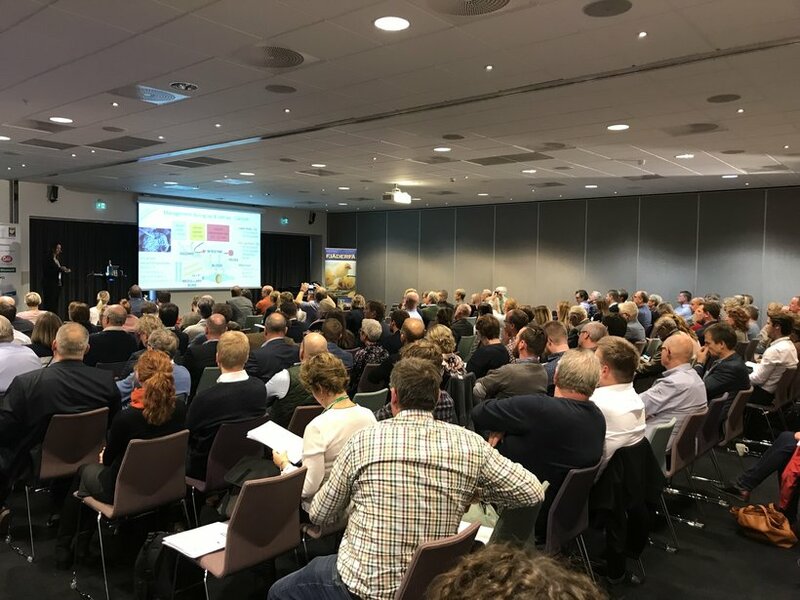 This conference is a yearly organized event by the Scandinavia countries for the layer and broiler industry in Iceland, Norway, Denmark, Sweden and Finland. Every year, the conference is held in one of the Scandanavian participating countries. This year the conference was held in Malmö, Sweden. Technical seminars and poultry knowledge is discussed and shared. As these 5 countries have a lot of similarities in how to do business, how to keep birds but also in disease pressure, feed supply and culture, discussions are easy and effective and a lot of experience and information can be shared. Dekalb is one of the popular genetic brands sold in this region as it is well-suited for aviary systems. Over two and a half days, 150 attendees were present with representatives from the corporate organizations, government institutes, academia, and representatives from welfare organizations. The wish of the conference every year is also to ‘import’ new information and techniques from outside Scandinavia. So the organizing committee has approached us last year and this year to contribute to the program. 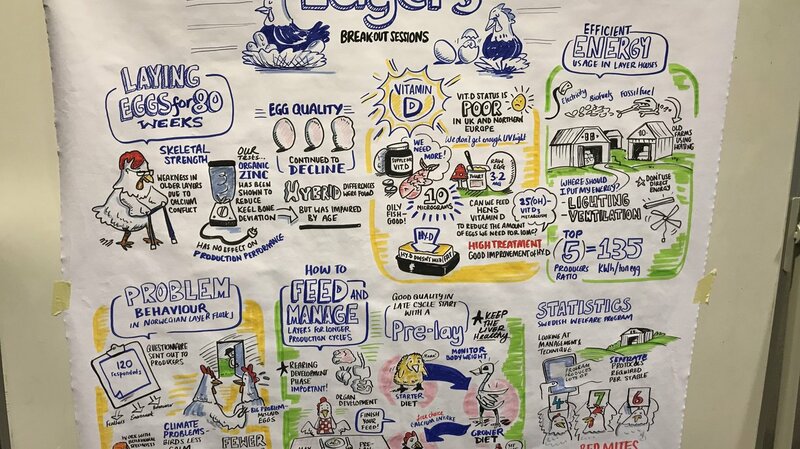 This year Paulien Rutten contributed with an excellent presentation on ‘How to feed and manage layers for longer production cycles’, which was well received and appreciated. A tradition of the Nordic Poultry Conference is the Scandinavian Song Festival. 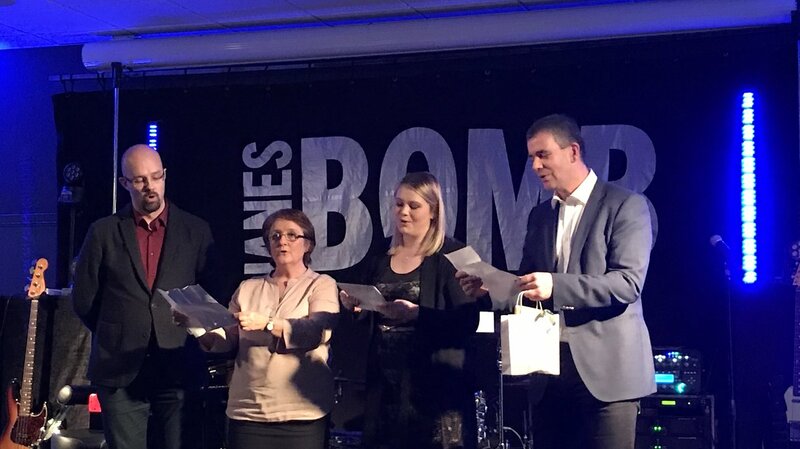 During the gala-dinner all participants per country gave a performance with their own written song. Iceland, although with a small number of participants, has won twice last year and this year. A ‘summary’ of the conference was made by an artist. During every presentation she drew the most important points of that presentation to tell a story.